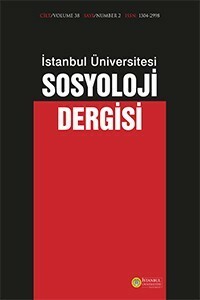 Published by the Istanbul University Department of Sociology, The Turkish Journal of Sociology has held an important place in the development of sociology as a scientific discipline in Turkey. First published in 1917, The Turkish Journal of Sociology was the first sociology journal written in Turkish. In its roughly 100-year history, the journal has become the most pioneering and prominent publication within the discipline. The Turkish Journal of Sociology is an open-access, double-blind peer-reviewed, international journal focusing on the publication of research and studies covering all aspects of the social. The journal’s goal is to aid and facilitate both international and interdisciplinary scientific communication, to strengthen the links between scientific research and society in Turkey, and to stimulate and enhance the quality of debate. Representing an interdisciplinary forum for the exchange of recent data and expert opinions, it reflects the importance of a comprehensive approach to resolving the social problems in Turkey. The Turkish Journal of Sociology publishes peer-reviewed research reports on sociology, bringing together research conducted within a variety of different disciplines. Articles include theoretical, philosophical, political essays, research papers, research on social behaviors, and historical research related to any social activity. In addition to original research, the journal features both articles and book reviews. Studies that clearly contribute to the current knowledge of sociology are given priority. Scholarly commentaries on topical issues and systematic reviews are also encouraged. Alman Tarihçiliğinin Alameti Farikası “Devlet Merkezlilik” midir?